When you turn-in a top tier writ to , one of the Belkarth supply master, there is a chance that you will receive a special invitation to craft a very specific item or set of items. Mastercrafter Mediator Rolis Hlaalu who will only appear in the Faction Capital City (Grahtwood, Mournhold, Wayrest) to those that have completed their task on their special invitation. Tip: While you can only do one writ of each profession at a time, you can pre-make the items for the writs and accept the writs at the turn-in guy and no more running back and forth. Does each Chapter of a motif increase your chances or only when a Motif is completed? Does completing Achievements in general on the character increase your chances or only the crafting achievements? Only Purple- and Gold-quality provisioning recipes and completed Motifs increase your chances of getting a Master Writ. Individual Motif Chapters do not increase your chances. Achievements are factored into Master Writ chances by way of learning associated Alchemy reagent traits and Enchantment glyph translations. Does that include the new motifs that were just introduced with this patch? Yes, Motifs that aren’t Crown Store-exclusive (including the ones added with Update 13) are factored into Motif knowledge for the chance to receive Master Writs, with the playable race cultural Motifs being the exception. You may be asked to craft items in the playable race cultural Motifs to complete a Master Writ, but they do not contribute to your chances of getting a Master Writ. How much knowledge of Motifs helps to increase the rate of getting Master Writs? Completing all of your research and learning all the applicable Motifs is weighted very similarly. 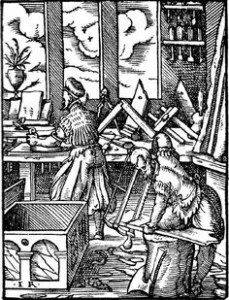 With the introduction of furnishing crafting schematics, does knowledge of these influence Master Writ chances as they are “craftable goods”? This doesn’t factor in at the moment, but we’ll be evaluating it for future growth of the system. Note: Writ vouchers can be banked. 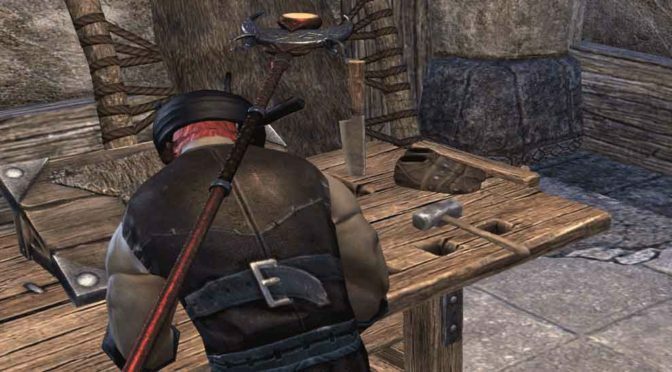 Telvanni has posted an interesting guide on the official ESO forums on how to level your characters doing master crafting writs. This method of leveling is extremely expensive. Assumes ESO Plus member to gain bonus XP and Inspiration. This method does not take into account the amount of time needed to gather alchemy/enchanting materials. It also requires a minimum of 12 skill points (preferably 24, for two skill lines). Maximize Enchanting Profession (approximately 168 purple CP enchanting glyphs made by another character or player) – Estimated time 15 minutes deconstructing glyphs. Go shopping on the guild traders and obtain every 2 – 5 writ voucher sealed writs you can find (approximately 150 sealed writs). Travel to Mournhold, Deshaan for crafting stations near the masterwrit turn-in location. Don’t have wayshrine unlocked? Visit Hlaalu Rolis just outside the gates near the Mournhold crafting station. Turn-in writs – Estimated time 25 minutes. Repeat steps 5 – 9 as needed.